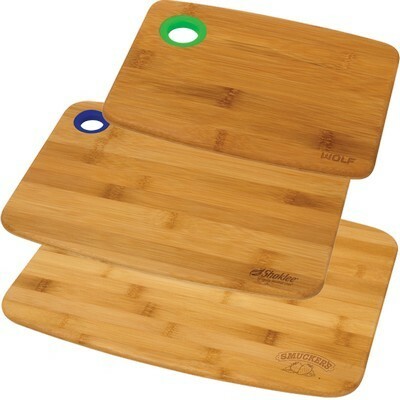 Our Galley Bamboo Cutting Board Set is eco-friendly and 16% harder than maple wood. Cut and chop food for your meals in a jiffy with the simple yet stylish Galley Bamboo Cutting Board Set. Engrave your brand’s logo on this essential kitchen equipment and gain wider visibility. The bamboo wood is eco-friendly and 16% harder than maple wood. This prevents bacterial growth and ensures that the board doesn’t retain water or crack easily. The board is resistant against knife scarring and has a long lifespan. The thin shape of the board allows for easy storage and handling. Put away the board after use by hanging it on a hook or a pot rack using the thumb hole. Individual boards can vary color and pattern due to the natural variations in the bamboo wood. 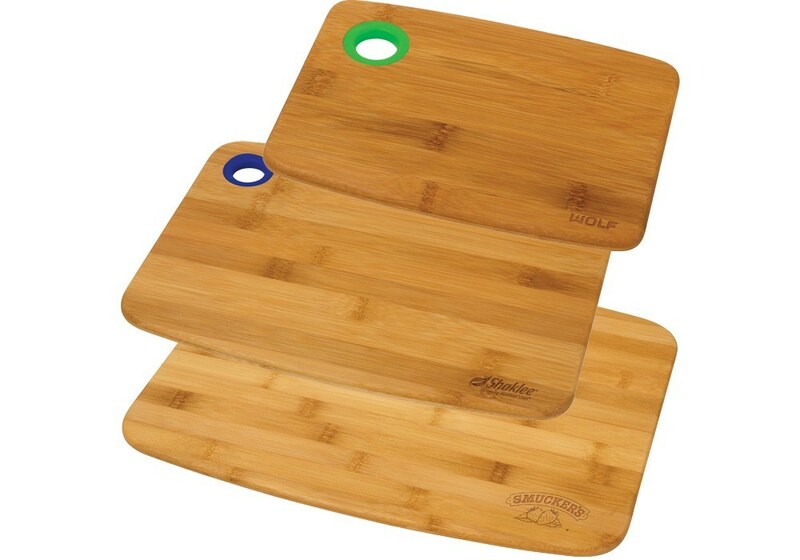 Stamp your brand on Galley Bamboo Cutting Board Set and add value to your employees and customers’ kitchens.